The Heroes are an opportunity for GoPro to offer action cameras with simple functionalities but without sacrificing anything to the quality of manufacture that is the hallmark of the brand. Those who have already had in their hands the GoPro Hero 5 and 6 Black will not be disconcerted, but the simplicity of this camera's design is part of its effectiveness. Indeed, the design lines are soft, the plastic pleasant under the fingers and it is not necessary to use a waterproof box to dive (up to 10 meters). If there are only two physical buttons on the GoPro Hero 2018, that's enough because there is also a small 2-inch touch screen. It's certainly small but it responds well and is fluid: to complete it, there's the voice command. The tiny control screen on the front panel shows where we stand, especially in terms of battery power. On the other hand, the devices to ensure the sealing of the part dedicated in particular to the battery and the memory card seem very light. This is the only real defect in the handling of this "action cam", which also has a complete connectivity, and just a small lack of accessories in the basic package. No 4K mode for this GoPro Hero 2018, no Full HD mode at 120 frames per second for successful slow motion, and the current video settings are not accessible. Despite perfectible electronic stabilization, the whole system gives correct, high-contrast and rather accurate videos, with hues that turn slightly green. The details are well marked and there is not much to complain about. A photo mode, including burst mode, is available, and it is also important to appreciate the absence of a box, which greatly improves sound capture. A question or a problem on the GoPro Hero 2018? Create a discussion and our team will answer you! Here is a list of comparison tests available between the GoPro Hero 2018 and others action cameras. 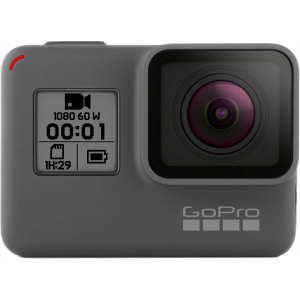 There is no opinion yet, be the first to add an opinion on the GoPro Hero 2018. 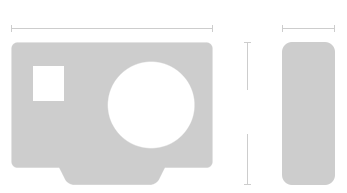 Information from the technical sheet of the GoPro Hero 2018 are only indicative, if you notice an error, please inform us with the icon displayed on the right of each specifications.